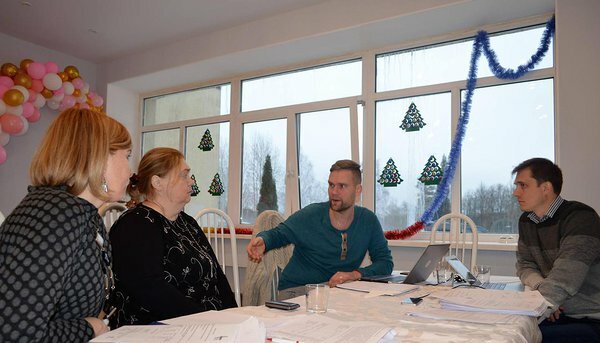 On December 14-16, another seminar of the project «SANA 2019: Civil Society Network for Preserving and Revitalizing Indigenous Finno-Ugric Languages» was held in the cities of Kingissep (Leningrad Oblast, Russian Federation). Border location of Kingissep district and intertwined cultures of this region's indigenous peoples determined the main theme of this event – «Language and Neighbors». Representatives of Izhorians, Votians and Ingrian Finns from Vistinskoye, Ust-Luzhskoye and Bolsheluckoye villages, and from the cities of Kingissep, Sosnovyj Bor, Saint-Petersburg and Narva shared their experiences of language activism. All presentations led to the common conclusions that despite several challenges in the studying of indigenous languages and preserving intangible cultural heritage, indigenous peoples of Leningrad Oblast are approaching the International Year of Indigenous Languages with optimism and from a position of strength as a result of cohesive communities and strong neighborly connections of Finno-Ugric peoples of Leningrad Oblast and Saint-Petersburg with kindred peoples in the Baltic Sea region: Karelians, Vepsians, Finns, Estonians, Seto and Livs. Presentations demonstrated the central role of pre-school education, schools, local authorities, NGOs, museums, libraries, cultural centres, folklore ensembles and individual language activists in the preservation of ethnic identity and creation of friendly spaces for the development of indigenous languages. 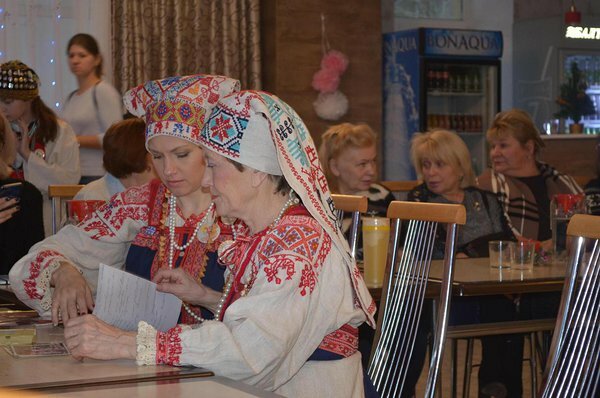 The presentation of language and cultural practices in Karelia evoked strong interest and generated new ideas among seminar participants for their own communities. During the seminar, winners of the mini-grant competition held by the SANA 2019 project were announced. From among 65 applications submitted to the competition, 10 applications were awarded grants. Development of teaching aids for children to learn Seto language through word games. Developemnt of video clips about preparing Seto ethnic food with Seto languge as the main ingredient. Teaching Liv language via video lessons. Raising interest in Seto language among youth with the help of crafts and tourism. Exposure of children and youth to the Votian language. Popularisation of family recipes of Izhorian cuisine and visualisation of Izhorian language in the streets of Soikino peninsula. Visualization of Karelian language and raising of its reputation through design product line for offices. Production and dissemination of stickers for clothes and cars, containing authentic and attractive phrases in Karelian and Vepsian languages. Development and dissemination of an educational animated video in Karelian language. Winning projects of the mini-grant competition include a variety of themes that have been prioritized by UNESCO in the action plan of the International Year of Indigenous Languages: teaching of languages, promotion of languages via modern information and communicatio technologies (ICTs), language visualization via crafts and design, preservation of indigenous toponyms and intangible cultural heritage, working with the youth. 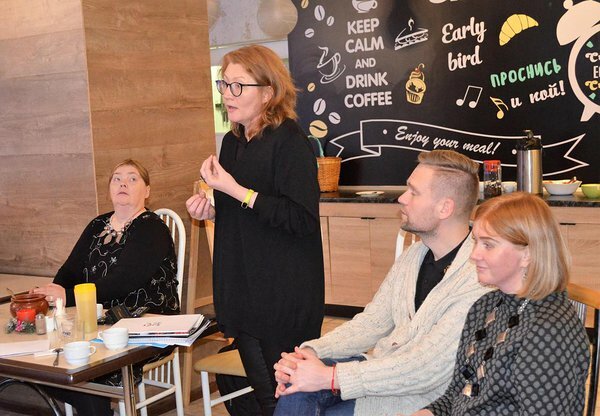 Projects by language activists of the Baltic Sea region supported by SANA 2019 will be implemented by April, 2019, and their results will be used in the online publication of best Finno-Ugric language practices which will be presented to the general public during the International Year of Indigenous Languages. Grantees will also have an opportunity to participate in experience sharing seminars in Inari (Finland), Leningrad Oblast and Petrozavodsk (Karelia). Such collaboration will allow to extend the network of language activists developed during the project and will make a contribution to raising international awareness about the developments among indigenous Finno-Ugric peoples.